Colonial Union Ambassador Ode Abumwe and her team are used to life on the lower end of the diplomatic ladder. But when a high-profile diplomat goes missing, Abumwe and her team are last minute replacements on a mission critical to the Colonial Unions future. 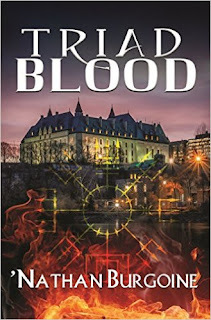 As the team works to pull off their task, CDF Lieutenant Harry Wilson discovers there's more to the story of the missing diplomats than anyone expected...a secret that could spell war for humanity. 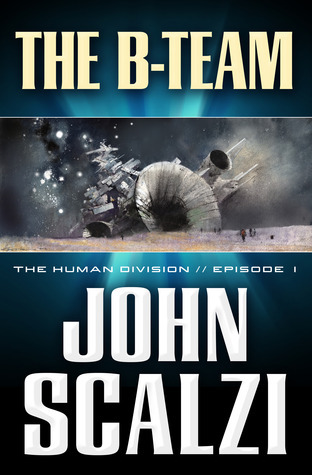 The B-Team is a solid beginning to John Scalzi's latest episodic series The Human Division, based on his Old Man's War world-building. Earth has separated itself from the Colonial Union and human colonies are now vulnerable. There is even a possibility that without Earth's resources humans might become extinct. The Conclave or alien's own union is now a reality and ambassadors and negotiators instead of soldiers and armies become key at this point in the game. But there is someone out there who wants to prevent those negotiations from going forward and when an A+ diplomat's team and her ship are blown to smithereens there's no solution but to call in a B team to finish the job. Ambassador Ode Abumwe accompanied by CDF Lieutenant Harry Wilson and the rest of their team readily accept the danger-riddled job. 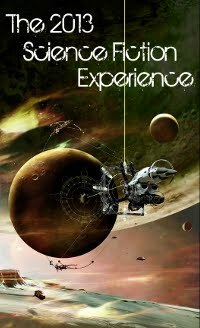 Scalzi imbues this installment with excellent science fiction atmosphere, peppers dialog with his signature snappy humor, danger, and some great little details that engage the reader throughout this episode. The Old Man's War world is immediately recognizable to those who have read that series as is recurring character CDF Lt. Harry Wilson. Overall characterization is a bit predictable at this point, and although there is an immediate payoff and exciting resolution to the conflict in this installment, the overall storyarc is just beginning. I can't wait to read the rest. Did you read WALK THE PLANK? I finished it last night - interesting change in style! I'm planning on subscribing to the other episodes now, this short story serial format is really working for me - it's not a massive time commitment and great stories in themselves. So is this like a mini-installments series? Yes! It's a 13 part serial that will later be released as one novel. :D So we have to pay attention to each release because each is supposed to be its own little story, but there is an overall storyarc too. As a novel, it should flow.